Carlson Portfolios offers access to the experience, expertise and care for which Carlson Capital Management is known, while focusing on the needs of clients whose situations are less complex than a traditional Carlson Capital Management Integrated Wealth Management client. 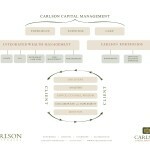 The team at Carlson Capital Management (CCM) is pleased to offer Carlson Portfolios. Parallel to our traditional offering, we have recognized the value in providing a solution for prospective clients who do not have the complexity in their situations that require the array of solutions provided by CCM’s Integrated Wealth Management platform. Carlson Portfolios offers the investment discipline and structure of CCM’s Integrated Wealth Management platform and leverages the same investment research capabilities, portfolio management team, CEFEX™ certified process, leading edge technology, and proven track record previously offered exclusively to CCM Integrated Wealth Management clients. young professionals beginning their investment journey. Carlson Portfolios is a wise and practical option for investment clients with $250,000 or more to invest. For some, starting on the Carlson Portfolios path is the beginning of engaging Carlson Capital Management and may progress to the Integrated Wealth Management platform as the need arises for more advanced financial planning. For others, the solutions and advisory experience of Carlson Portfolios will suit their needs for years to come. 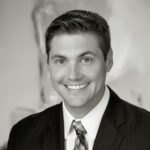 Andrew Hauskins, CFP® is our primary advisor for Carlson Portfolios clients. Please contact Andy if you would like an initial complimentary consultation to determine if Carlson Portfolios is right for you.